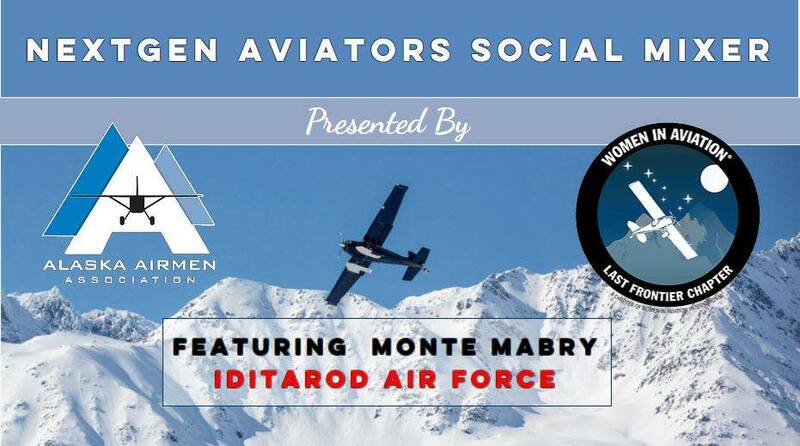 Join the Alaska Airmen's NextGen Aviators & Women in Aviation's Last Frontier Chapter for their winter social mixer featuring Monte Mabry from the Iditarod Air Force! WHO ARE THE NEXTGEN AVIATORS? The Next Gen Aviator Group is a group of millennials 18-35 whose mission is to lead and grow the next generation of aviators here in Alaska. Through networking and volunteer opportunities, seminars, social events and more, the Nextgen Group is energizing the aviation industry. The NextGen Group consists of pilots, mechanics, government and airline enployees, air traffic controllers, drone enthusaists and all who support aviation!